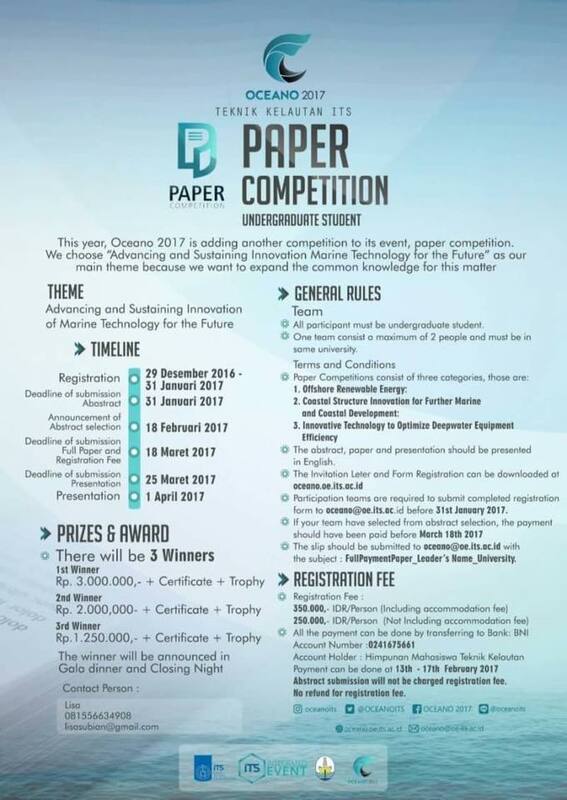 Oceano 2017 is adding another competition to its event, paper competition. we choose "Advancing and Sustaining Innovation Marine Technology for the Future" as our main theme because we want to expand the common knowledge for this matter. Theme : "Advancing and Sustaining Innovation of Marine Technology for the Future"
all participant must be undergraduate student. abstract submission will note be charged registation fee. 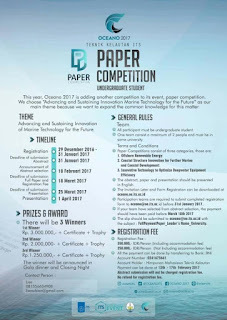 0 Response to "OCEANO 2017 : PAPER COMPETITION"